The Cloverbelt Conference Scholar Banquet was held in Osseo-Fairchild on April 10th for the highest honor students. Salutatorian Kinsey Kitzhaber and Valedictorian Zena Thomas were present along with their families and honored educators Megan Melcher and Loghan Hallett. Each student received a certificate and commemorative medal. 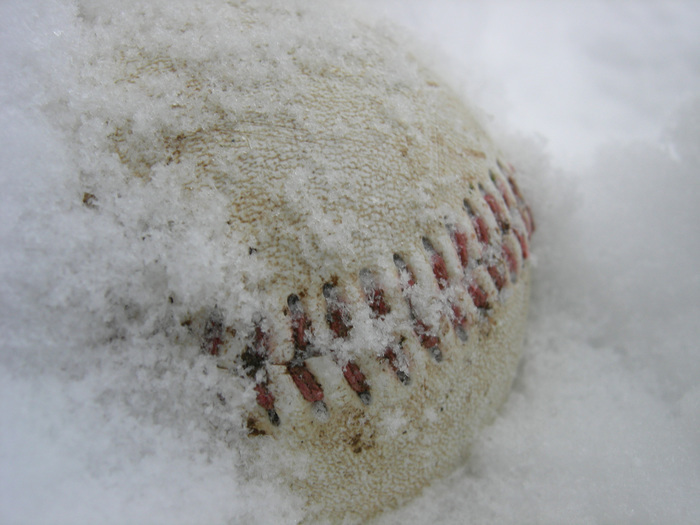 MS baseball and softball has been cancelled for both April 16 and April 18, 2019. For Tuesday, April 16, 2019: -HS softball game @ Cornell has been cancelled. -HS baseball game v. Granton has been cancelled. 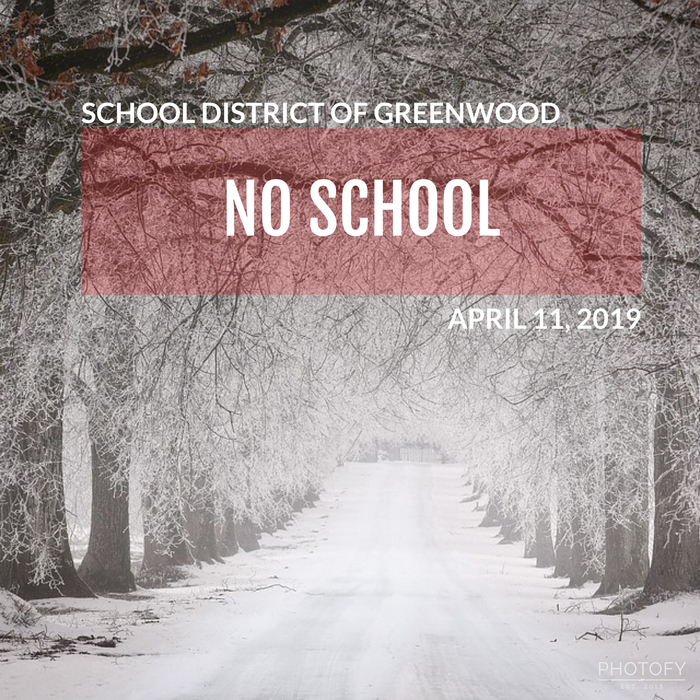 The School District of Greenwood is closed today, April 12, 2019, due to road conditions. All athletic events for Friday and Saturday are cancelled. 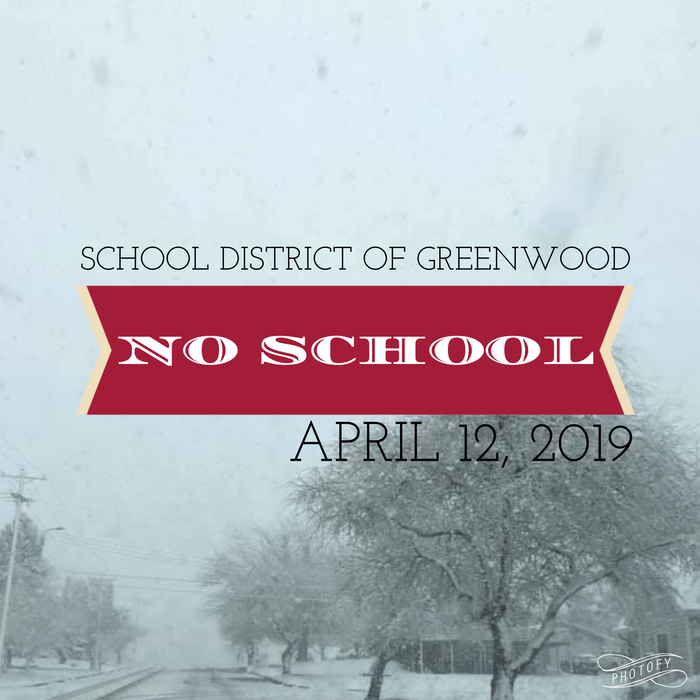 The School District of Greenwood will be closed today, April 11, 2019, due to the weather. The Tuesday, 4/23, Baseball and Softball games are moved to TONIGHT, Monday 4/8, here in Greenwood v. Columbus Catholic. The baseball apparel order is now open! Check it out at: https://19gwdbsb.itemorder.com/sale Orders due by April 14! 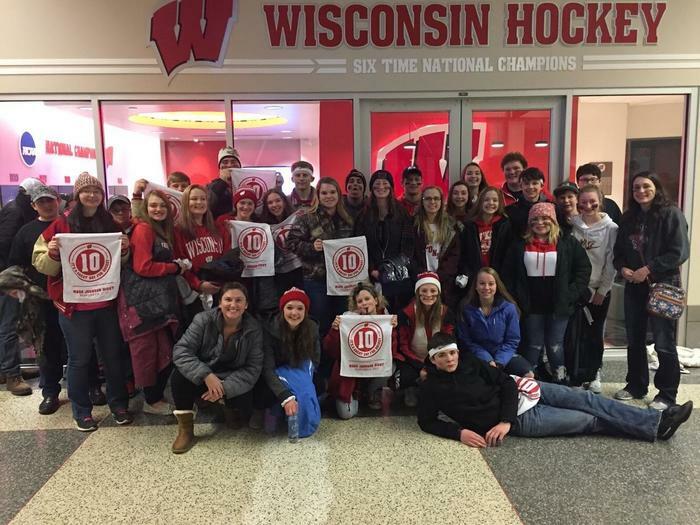 Greenwood FFA enjoyed a trip to a UW-Madison Badgers Men's Hockey game earlier this year! 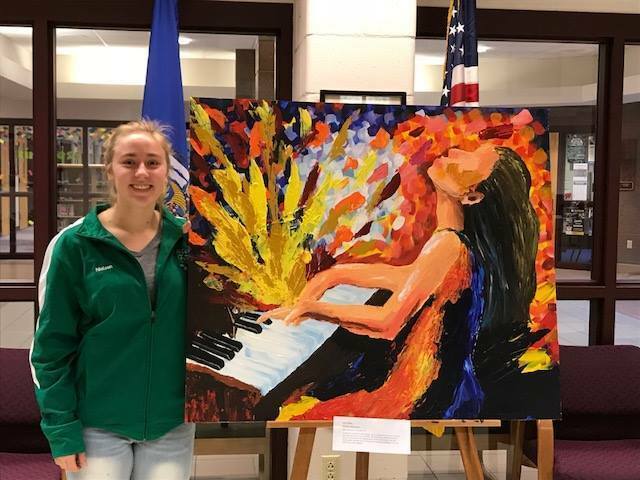 Senior Kameron Opelt proudly stands next to her art at a local art show in Neillsville. 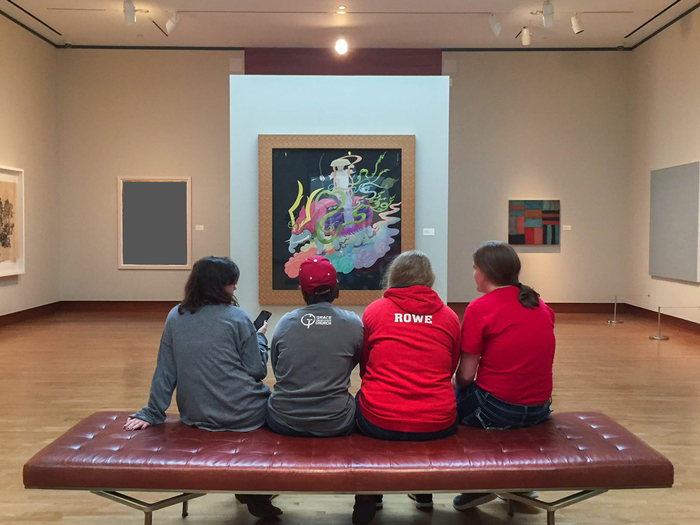 Kameron has been accepted into the Milwaukee Institute of Art and Design and will continue her passion this Fall. 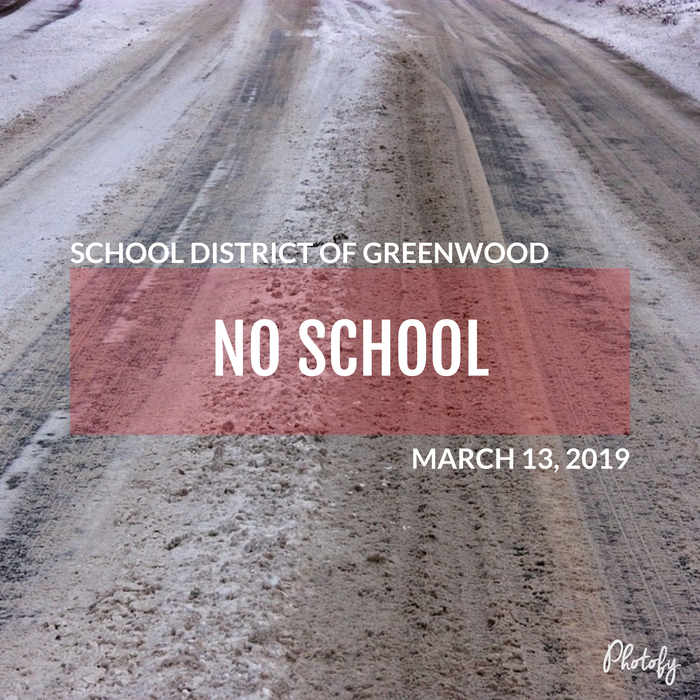 The School District of Greenwood is closed today, March 13, 2019, due to hazardous road conditions. 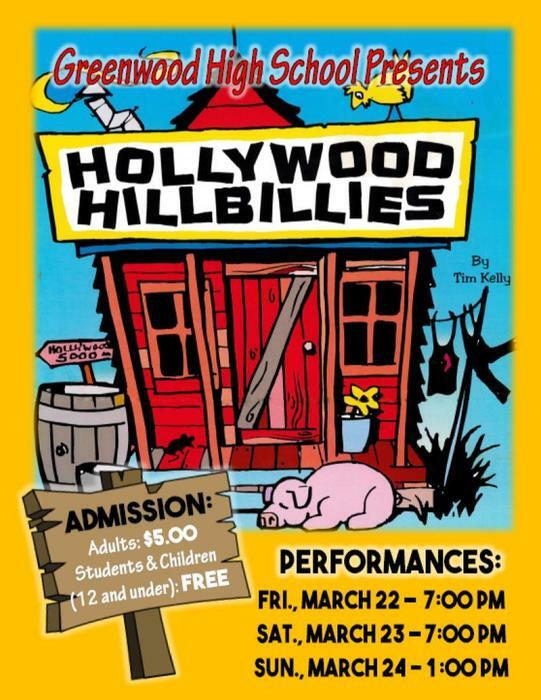 Join us for our 2-Act play, Hollywood Hillbillies, March 22-24! 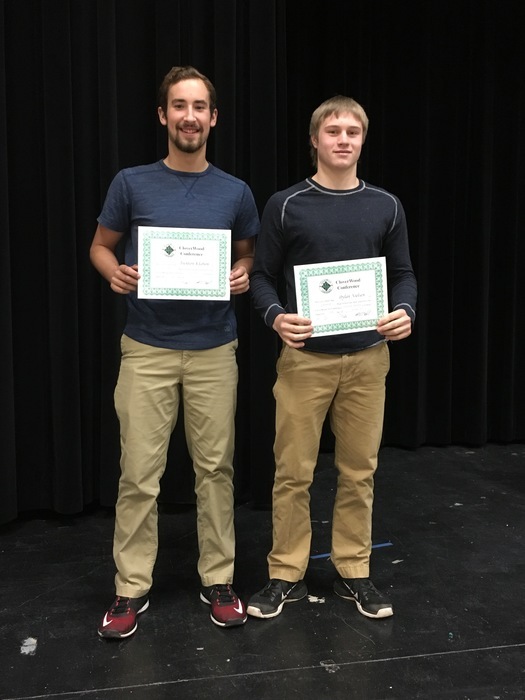 The 2018-19 Winter Sports Awards night will be Sunday, March 17, 2019, at 6:00pm in the West gym. We look forward to seeing all of our athletes and families there! Join us tonight at the Elementary School for Literacy Night! 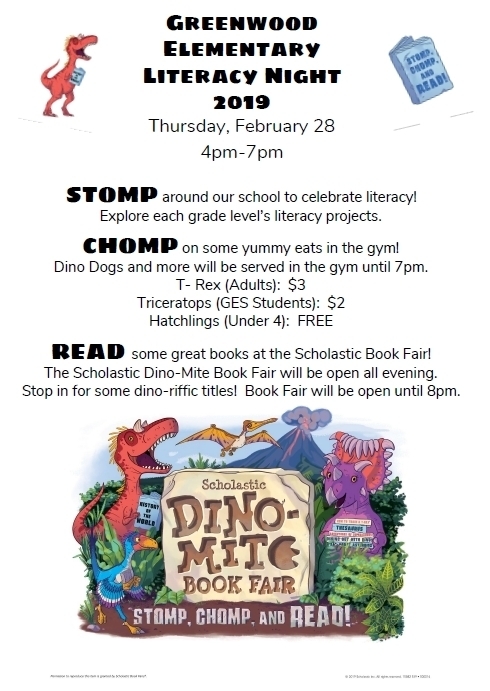 We look forward to seeing you for our Book Fair, student literacy projects, and dino dinner! 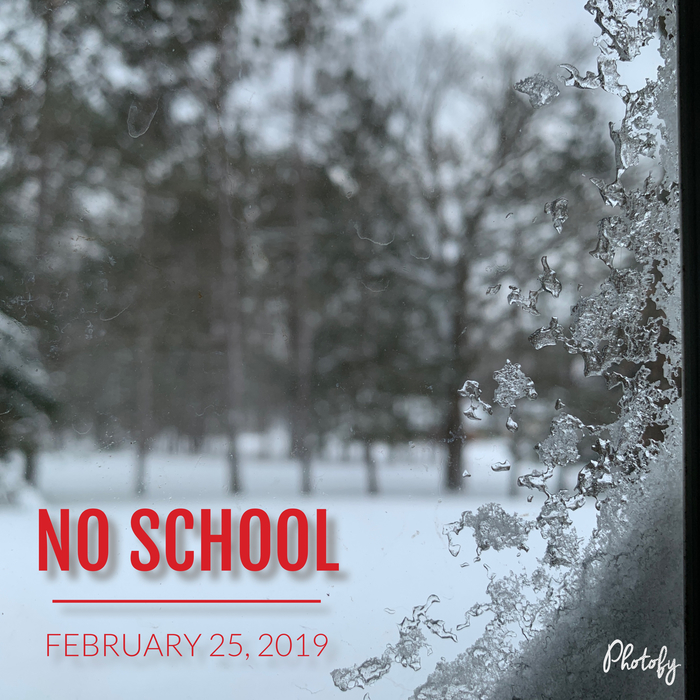 The School District of Greenwood will be closed Monday, February 25, 2019, due to the blizzard conditions. 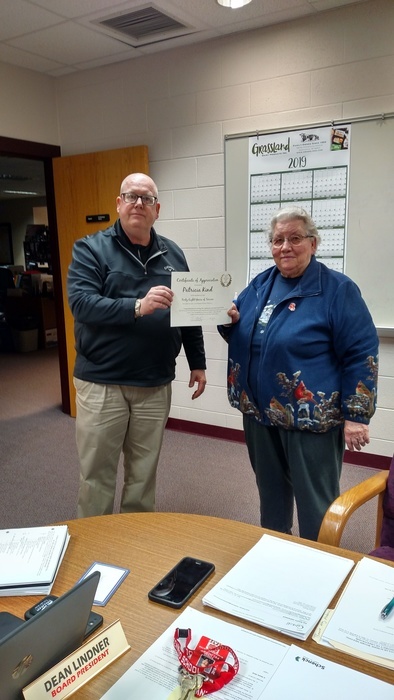 Greenwood bus driver Pat Kind was recognized at last night's School Board meeting for over 48 years of driving for the district! Congratulations and happy retirement Pat! Thank you for all of your service! 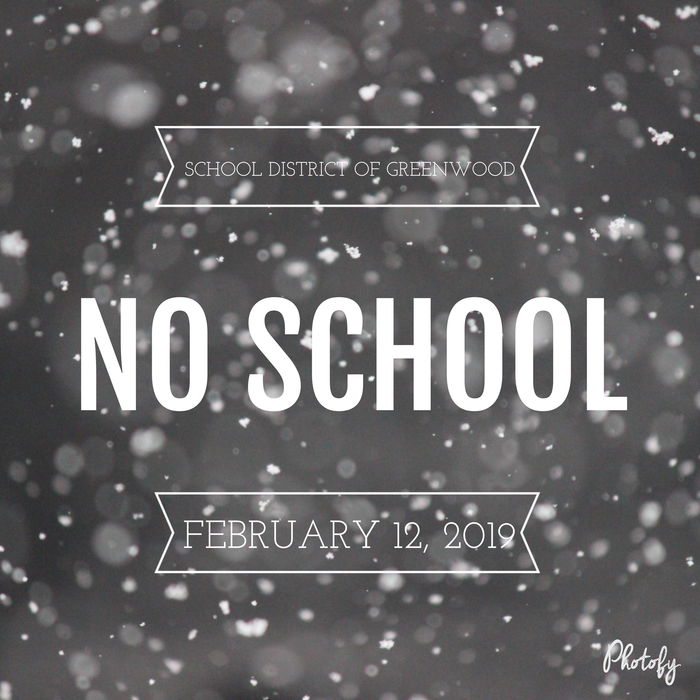 The School District of Greenwood will be closed Tuesday, February 12, 2019, due to the weather. All after school activities are cancelled. 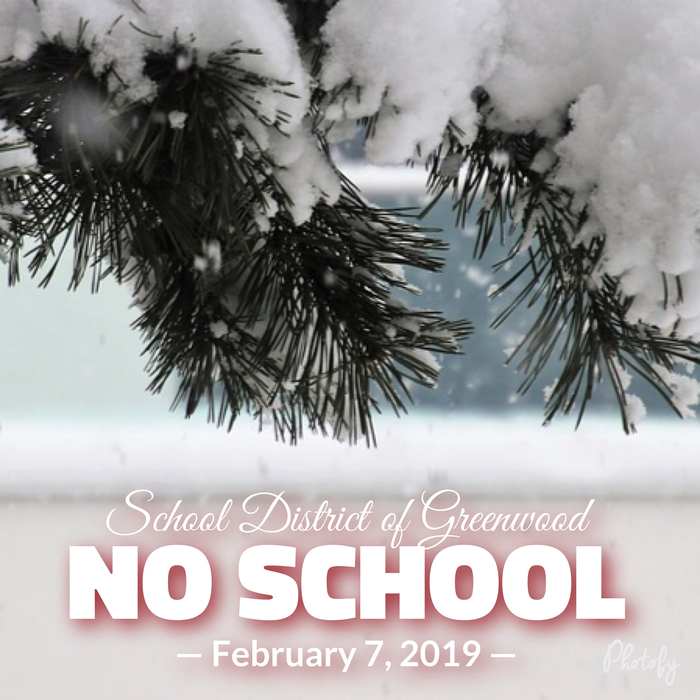 The School District of Greenwood will be closed Thursday, February 7, 2019, due to the snow storm. UPDATE 2/5/19: ACT PREP IS CANCELLED ALL BOYS AND GIRLS BASKETBALL GAMES ARE CANCELLED. 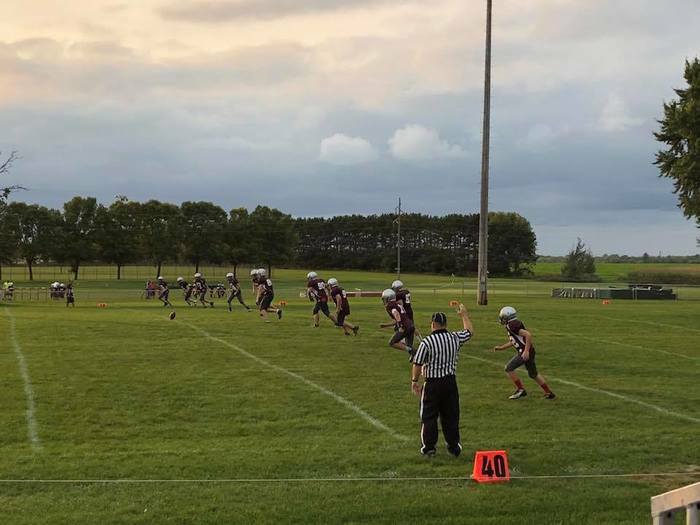 Sports Update - February 5, 2019: Boys C-team @ Gilman is cancelled tonight. MS Wrestling @ Eau Claire is also cancelled tonight. The School District of Greenwood will be closed Monday, February 4, 2019 due to icy road conditions. ​The School District of Greenwood will be closed Tuesday, January 29 and Wednesday, January 30, 2019, due to the cold. This includes all after school activities. 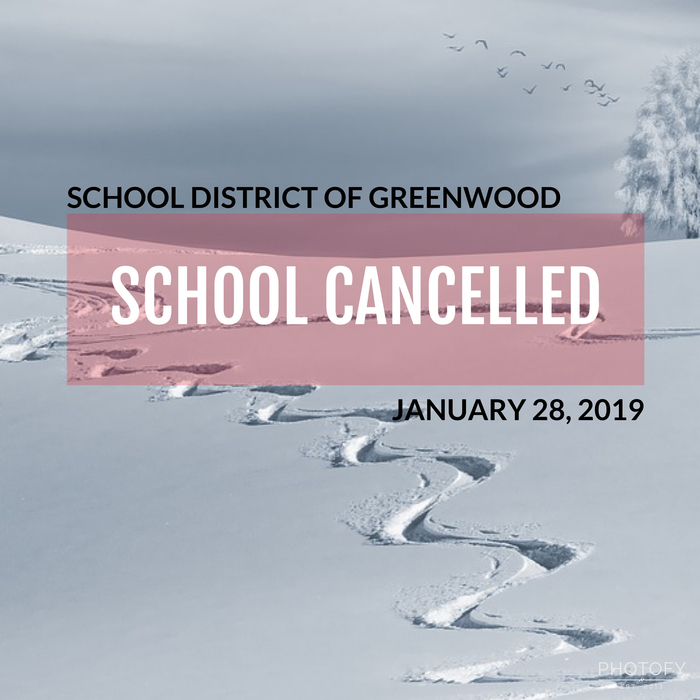 The School District of Greenwood will be closed Monday, January 28, 2019 due to the winter storm. This includes all after school activities. The School District of Greenwood will be closed today, January 22, 2019, due to icy road conditions. 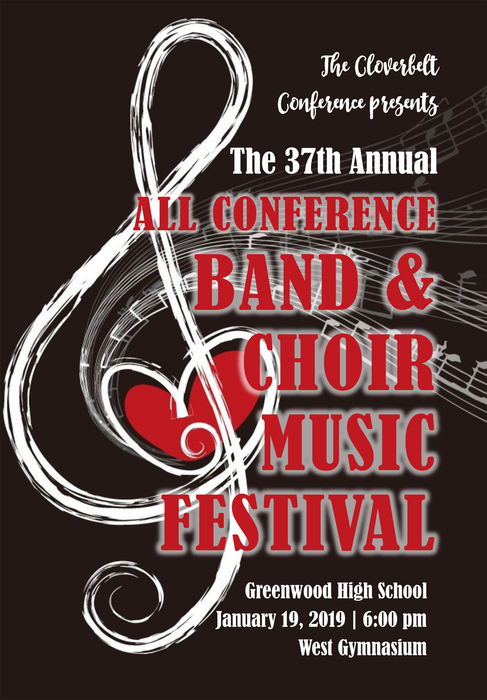 Join us this Saturday at 6pm for an All Conference Music presentation! After school activities are cancelled for January 15, 2019. Wrestling will continue as scheduled, along with Elementary Kids Club and Girl Scouts. 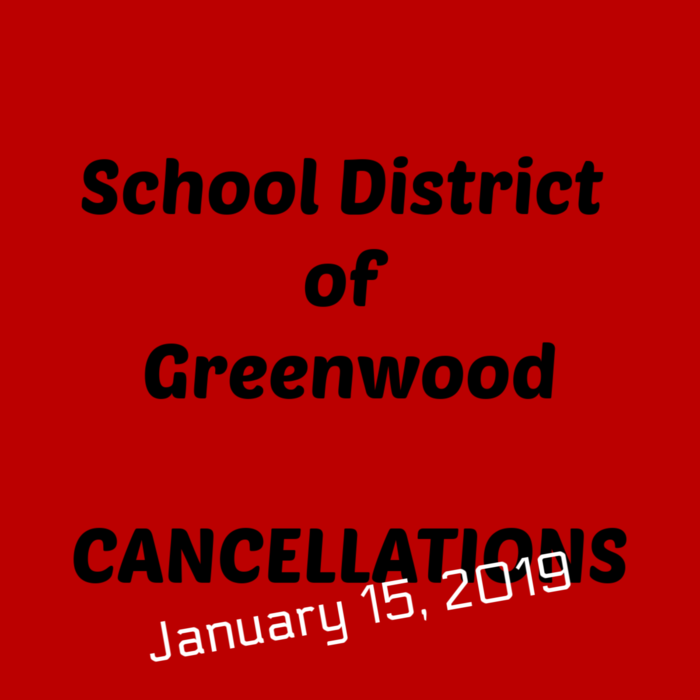 The School District of Greenwood is closed today, January 7, 2019, due to hazardous road conditions. 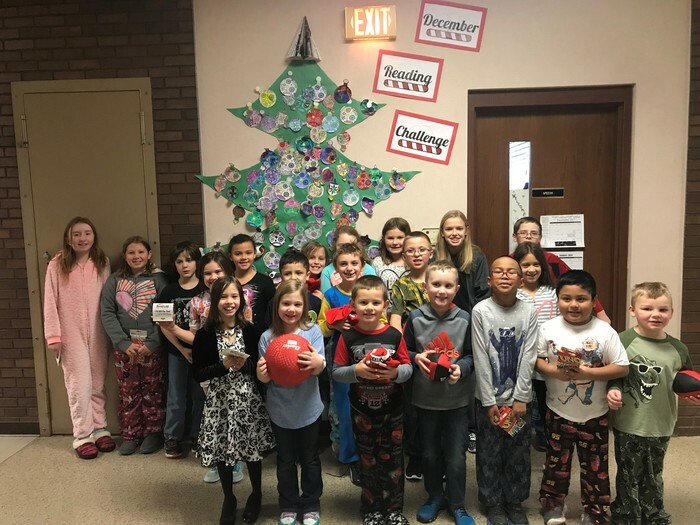 Mr. Werner's middle school Tech Ed class made homemade ornaments in December! Photography students have been working hard during their portraiture unit. Students are learning how to use studio backdrops as well as studio lights to create professional portraits. 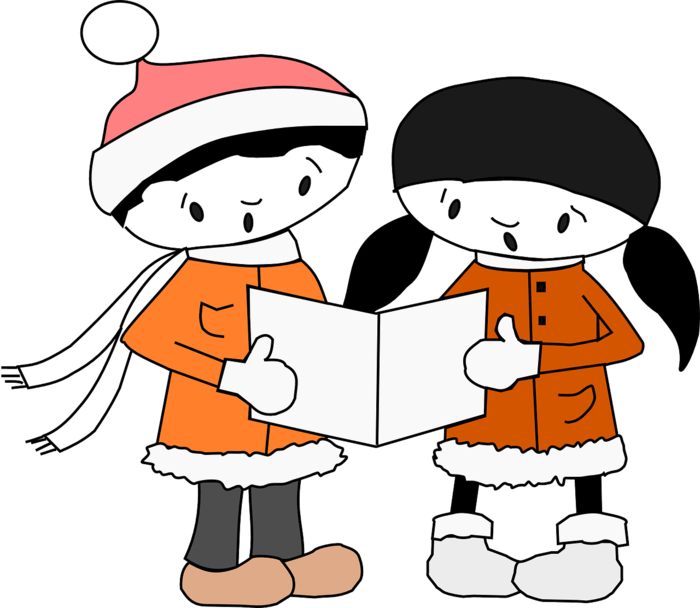 The elementary school is going caroling on Friday! Do you live on the East side of Main Street? Would you like the carolers to stop by your house or business? Let us know! Call the Elementary School at (715) 267-7211. Groups will head out around 9:30am. 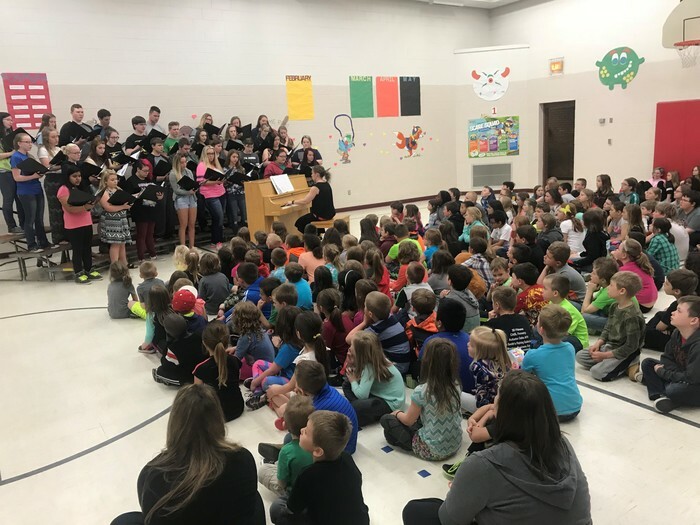 The Elementary Christmas Concert will be held in the High School Gym on Friday, December 14, at 1:30pm. It was brought to our attention that a 12:30 start time was misprinted in the district newsletter and we apologize for that confusion. We hope to see you there as we celebrate the Christmas season! 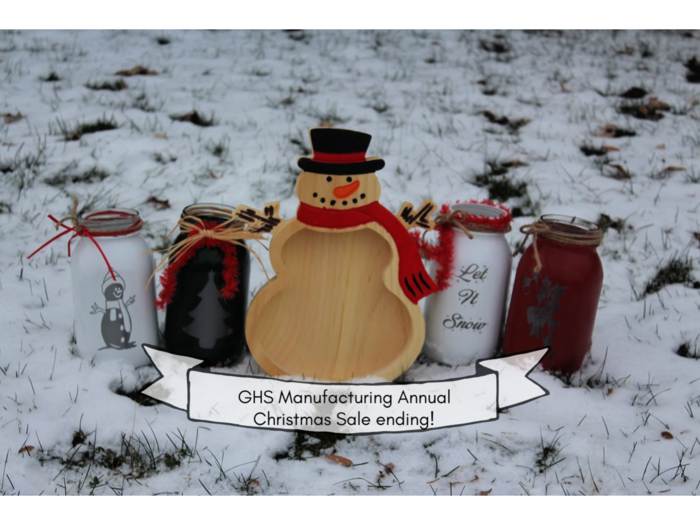 Thanks to everyone who ordered from the GHS Manufacturing Christmas Sale! In order to get all of our orders done before school breaks for the holiday, we are closing the order today, Dec. 12. Thank you all for the support; look for us again next year! Before fall break, Mrs. Nehring's class celebrated the 50th day of school by dressing up and learning about the 1950's! Thanks to Twentieth Century Fox Film and AMC Theatres, Greenwood High School attended a screening of The Hate U Give, a movie based on the best selling novel by Angie Thomas. 21CF and AMC joined forces to provide young people across the country access to the powerful new film as a tool for driving empowerment, empathy and dialogue. School library media specialist Michele Green applied for the opportunity and was thrilled that Greenwood was awarded the opportunity! 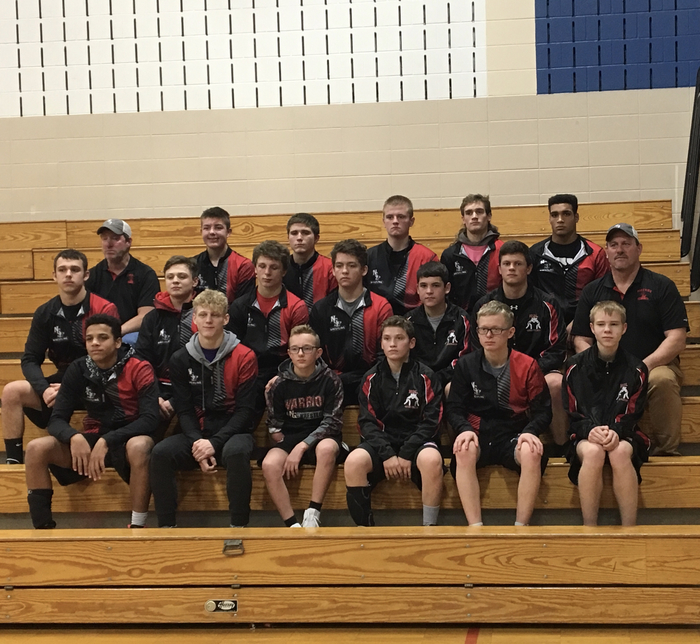 Congratulations to our NGL wrestlers for taking second at Glenwood City! Third graders shared stories that they wrote to the 4K children during reading buddies. 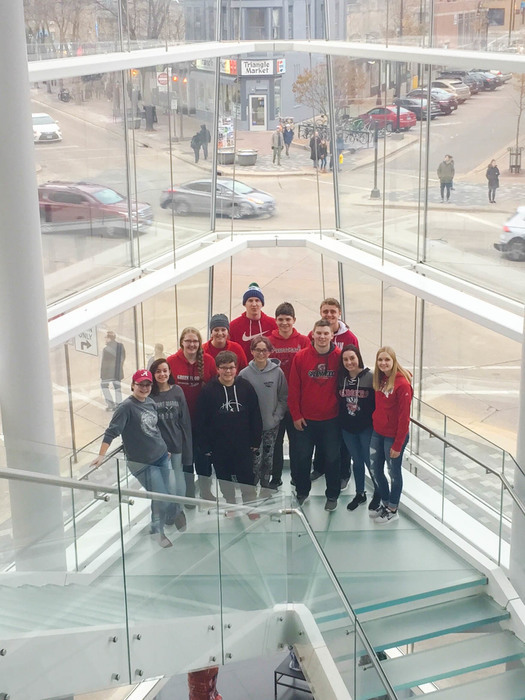 Art Club students spent their Saturday with a trip to Madison. 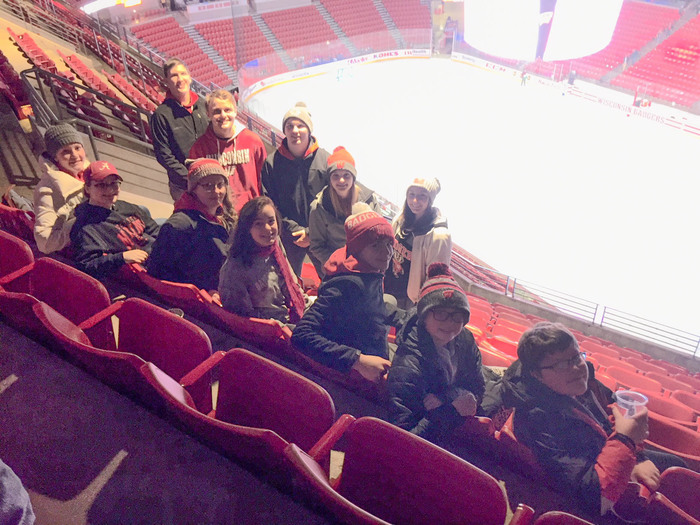 Students visited the Chazen Art Museum, Madison Museum of Commentary Art, and finished their day off with a Wisconsin Badger Hockey Game vs. Minnesota. 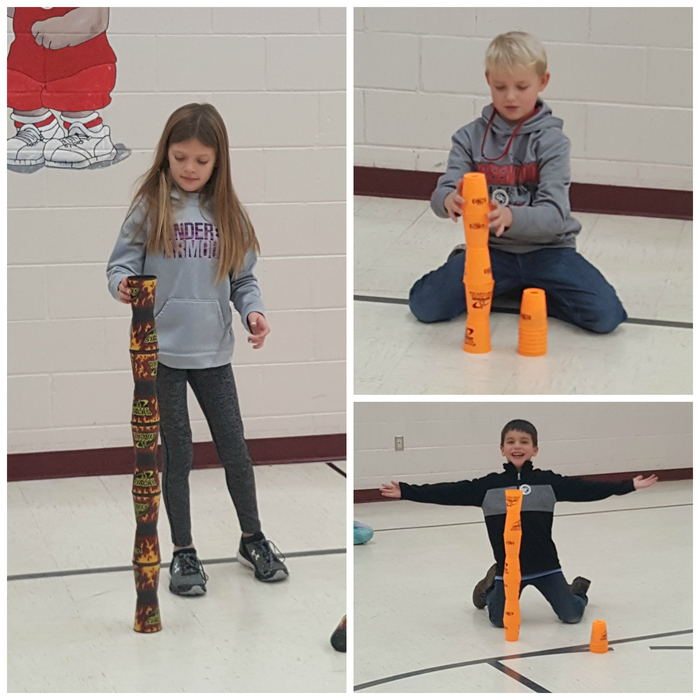 Each year the WSSA (World Sport Stacking Association) asks people all over the world to cup stack on a certain day to beat their current record in the Guinness Book of World Records. This year we joined the attempt to get 635,000 people stacking on the same day! 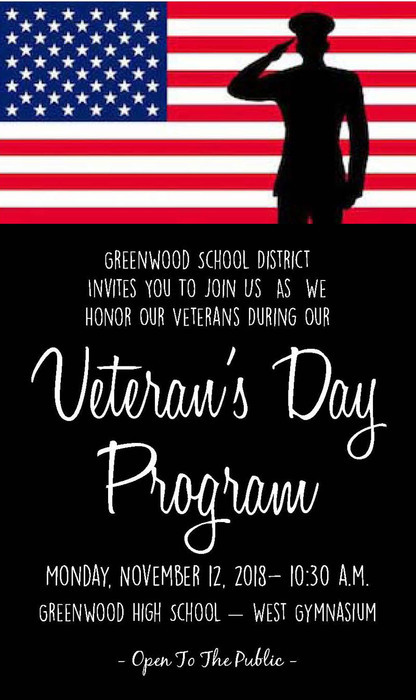 Join us for a Veteran's Day ceremony, Monday, November 12, 2018 at 10:30am in the High School gymnasium! 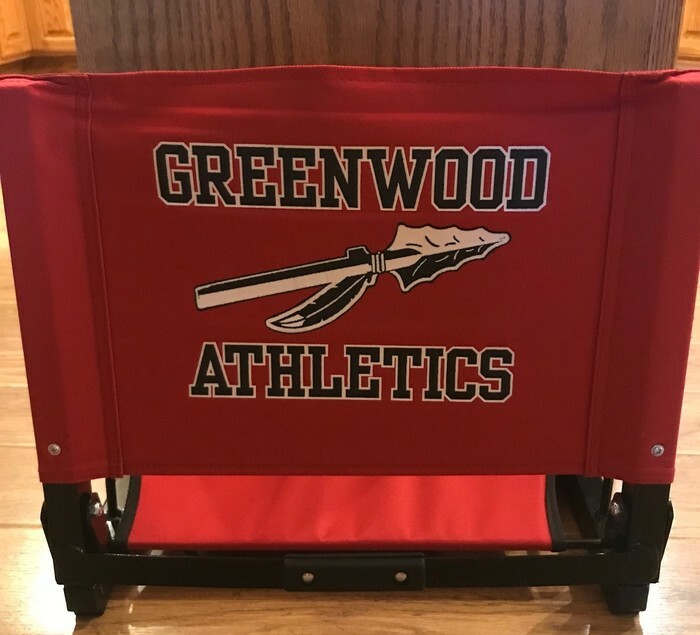 Greenwood Athletics stadium chairs are once again available through the Greenwood Athletic Booster Club! These bleacher chairs are a must have for parents, grandparents, aunts and uncles that are attending athletic events throughout the year. They make AMAZING Christmas gifts!! The chairs are $50 and can be picked up in the High School office or at Centuries on Main. Limited quantities are available, so act quickly! 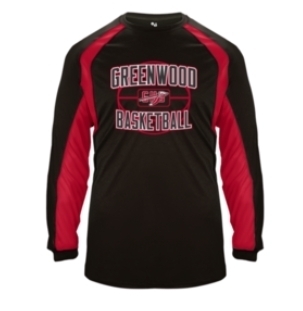 Checks can be made payable to the Greenwood Athletic Booster Club. 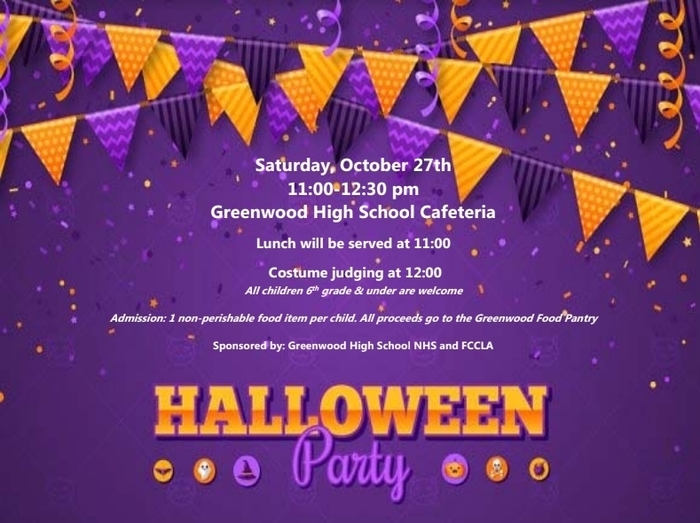 We hope to see you at the NHS/FCCLA annual Halloween party this Saturday from 11-12:30pm! Donations go to the Greenwood Food Pantry. On October 15th, Greenwood Tech Ed students had a guest teacher. 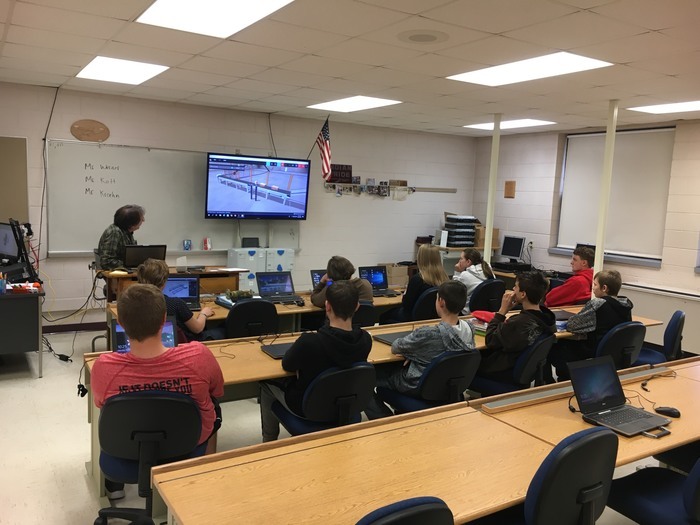 CVTC instructor Mr. Jim Kroehn spent the day in Greenwood getting students ready for PLC programming using Factory I/O software. Students will learn how to program and build their own factory! 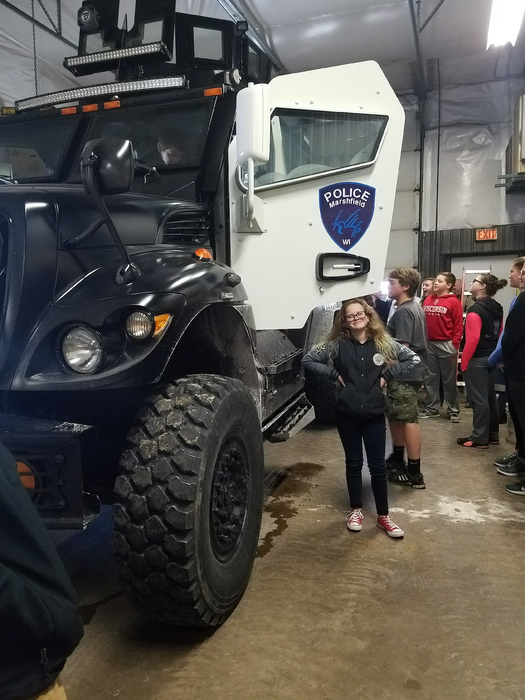 Thank you CVTC and Mr. Kroehn. 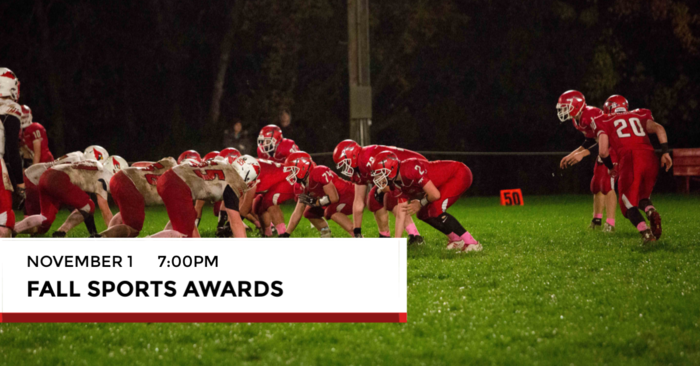 The Fall Sports Awards Night will be held Thursday, November 1, 2018 at 7:00pm in the High School cafetorium. Shown presenting a donation from the Knights of Columbus is Mr. Larry Hoeser (left) to Mr. Todd Felhofer, District Administrator of School District of Greenwood. Funds were generated from the Knights of Columbus's Tootsie Roll Sale program. Thank you! 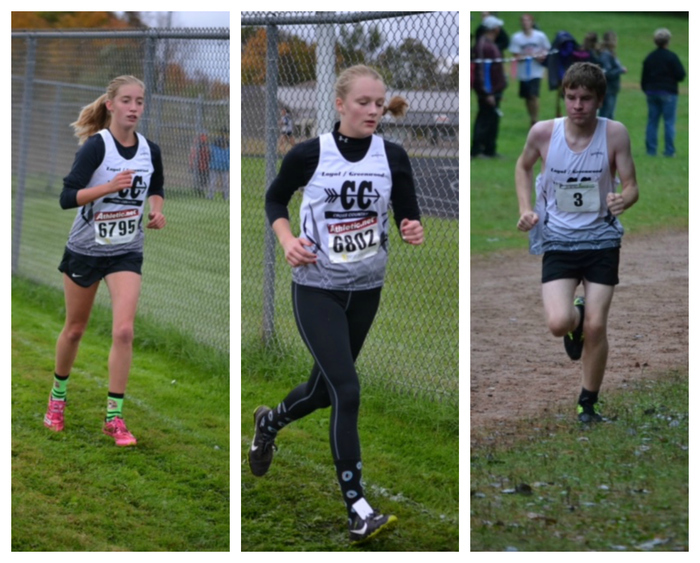 This Saturday, Oct. 11, 2018, the High School boys and girls Cross Country team have the biggest meet of their season at Colby High School - the Cloverbelt Conference Championships. The boys run at 10:30 with girls at 11:15. 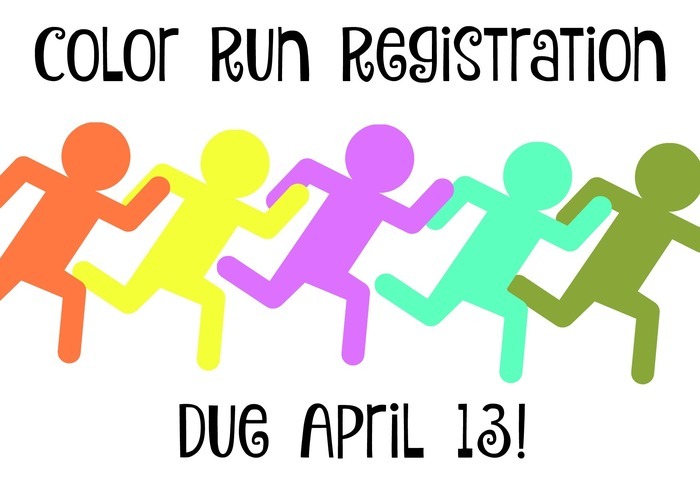 Come cheer on our runners! 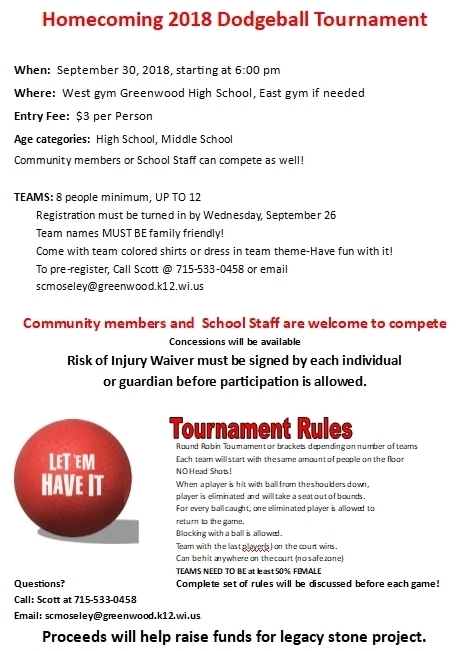 Go Greenwood! The annual Legacy Stone ceremony was held at The High Ground in Neillsville on September 15. Each year, the School District sponsors one stone. This year, we are proud to lay a stone for veteran Richard Thomas. Pictured are his grandchildren Christian and Bria. Parents and Guardians, Several Skyward Parent Access features are experiencing troubles and we are working on fixing it. In the meantime, please also check the SKYWARD MESSAGE CENTER when you log in to view your student's grades. You can always call the school offices with questions as well. Thank you for your understanding! 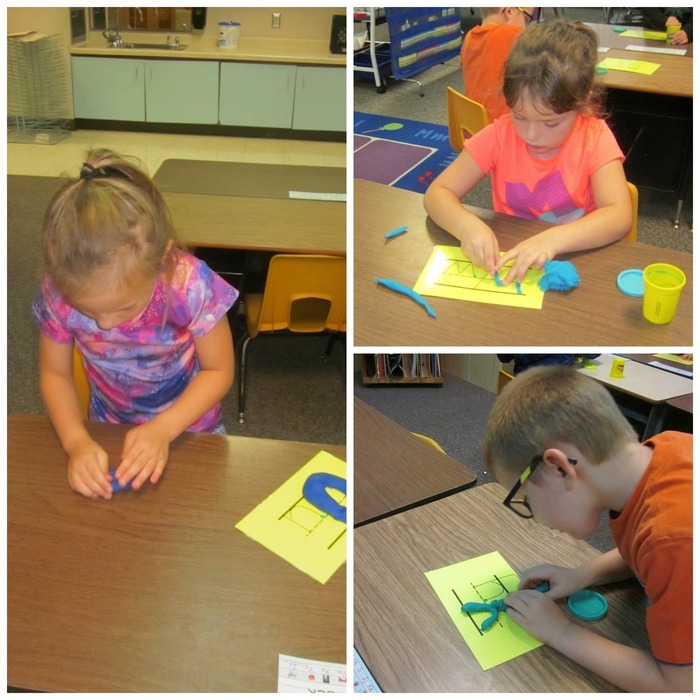 Ms. Nehring's class worked on letters and sight words with play dough! 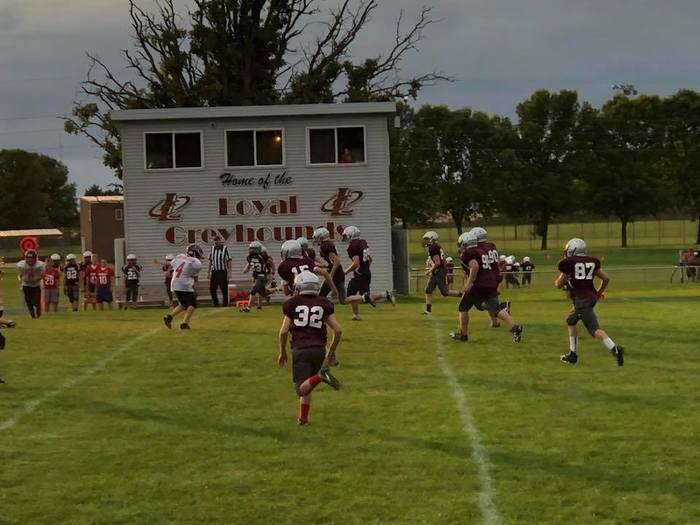 Congratulations ￼ to the Greenwood/Loyal Middle School Football Team for their excellent teamwork & win over Owen-Withee last night! Zaleski Sports/Tri-Media will be featuring Greenwood’s sporting events several weeks with live stream broadcasts and highlights. Live sports can be found at: www.zaleskisportsshow.com/live-sports. 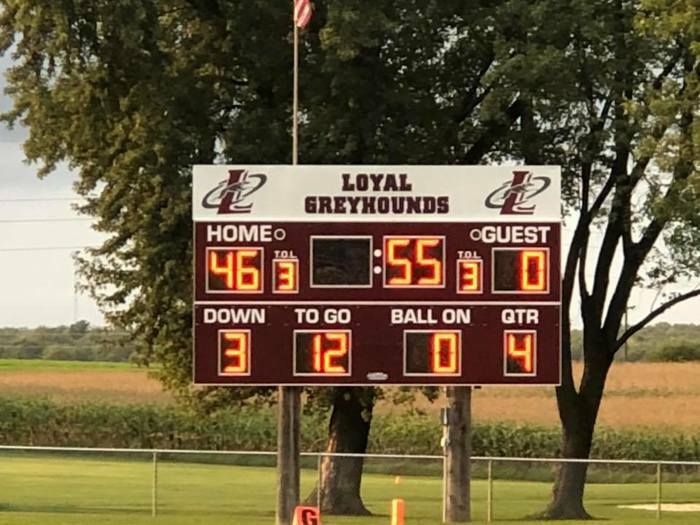 Highlights can be found at www.zaleskisportsshow.com and Facebook Zaleski Sports approximately 12 hours after the conclusion of your game. 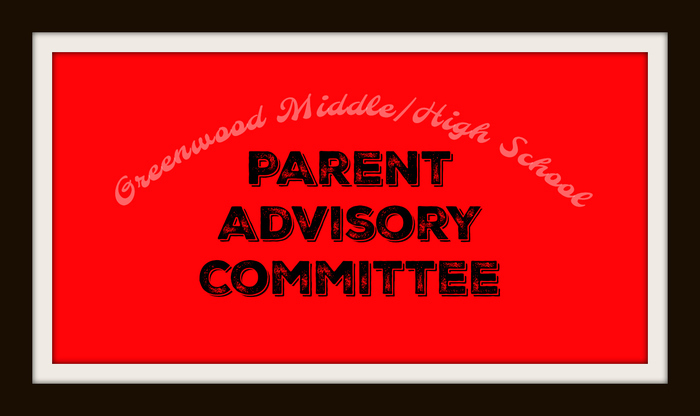 The Greenwood Middle/High School PAC (Parent Advisory Committee) will meet on Tuesday, September 12, 2018, at 6:00p.m. in the library. Please use Main Office/Door 1 entrance. All middle/high school parents are invited to attend! If you are unable to make it but would like more information on the PAC, please contact Mr. Todd Felhofer at 715-267-6101. Hope to see you there! The Cross Country meet for tonight, September 4, has been cancelled. There will be practice instead. 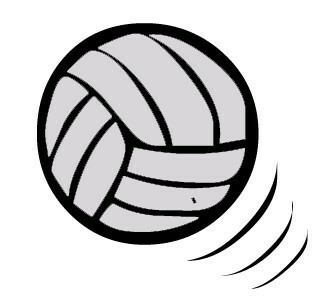 Due to coaching changes, the first week of High School volleyball practice will run 4:00-8:00pm starting Monday, August 13, 2018. The School District of Greenwood will provide a Public Forum on School Safety Wednesday, July 25, 2018, in the Greenwood High School Cafetorium beginning at 6:30pm. The purpose of the forum is to inform parents and the community about our current school safety initiatives and for individuals to share their concerns regarding school safety and security. The public discussion is open to parents, guardians, students, district employees and community members. Congratulations to Zena Thomas who took 9th place in Database Design & Application at DECA Nationals! 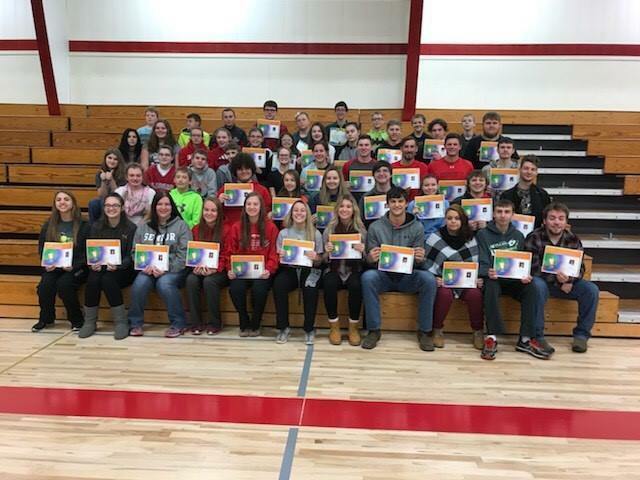 Zena competed in a field of over 200 students! Way to go! 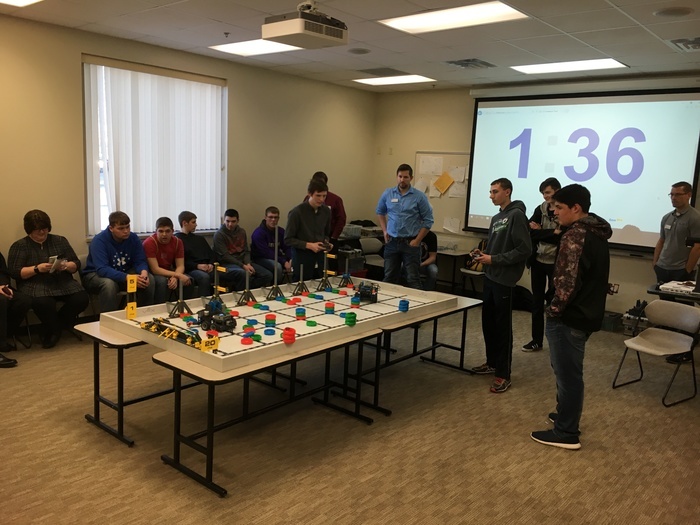 Thanks to a grant from CVTC and 3M, Greenwood Technology Education students will be able to utilize two FESTO MechLab Trainers starting next school year. 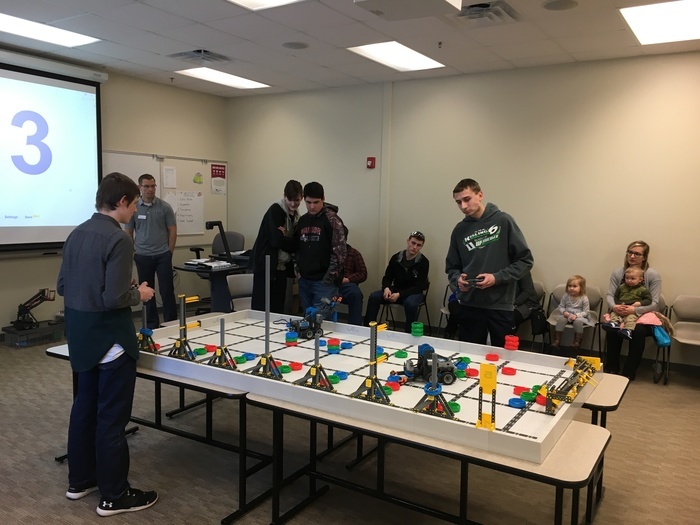 These trainers are part of an effort to bring Electronic and Automation curriculum to Greenwood and will be used in conjunction with the Mobile Manufacturing Lab that visits GHS every fall. 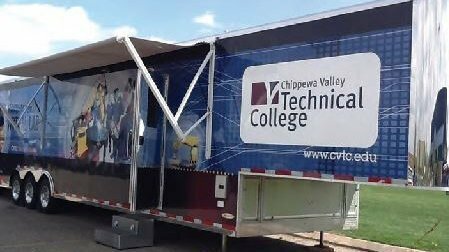 Thank you CVTC and 3M! Sixth grade students took a farewell walk through the elementary school to end their last day in this building. 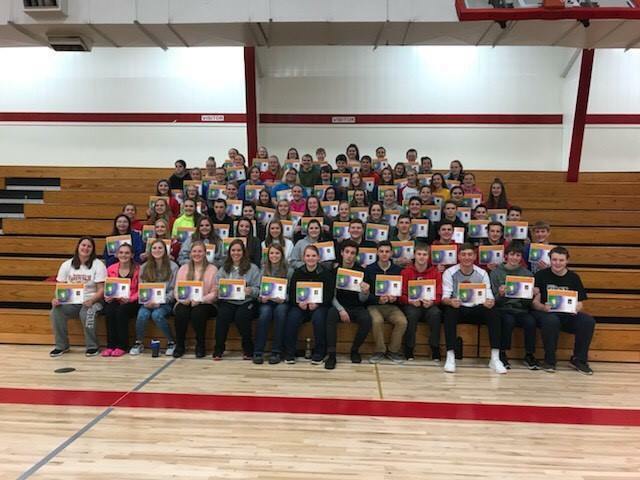 We look forward to seeing your accomplishments at the Middle/High School! We will be having a sendoff for Kelly Nielsen going to the State Track meet Friday at 8:05am in the West Gym. Kelly is competing in the 200 meter dash, long jump, and triple jump! The regional final softball game has been moved and will be played Thursday, 5/24, 5:00pm in Greenwood versus Gilman. 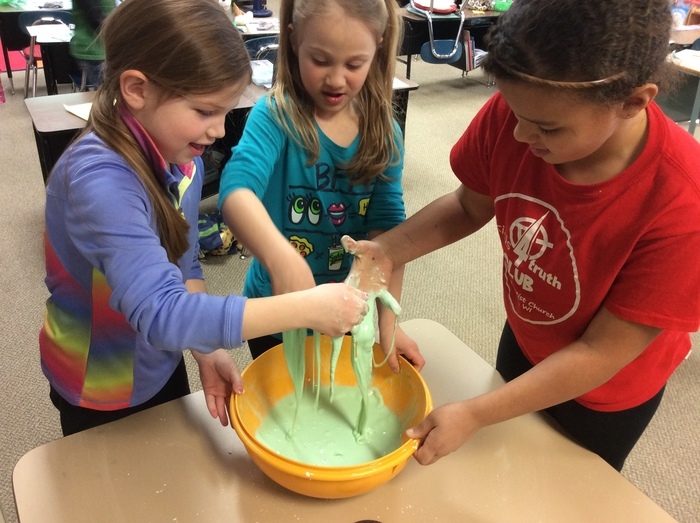 Ms. Nehring’s Kindergarten class was very excited to make and eat butter during their farm theme! The EPEC Meeting scheduled for tomorrow, May 14, has been cancelled. In the fall, we will start fresh and revisit meeting dates/times and committee direction. Please contact the elementary office if you have any questions. Thank you for all your support and assistance with EPEC over the 2017-18 school year! Greenwood High School Tech Ed built this sign for SAV-RITE Building Center in Neillsville. 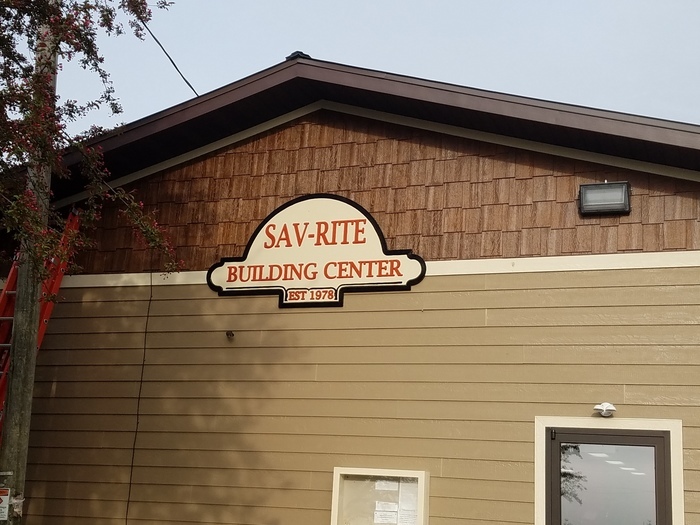 SAV-RITE recently built a new addition and asked GHS to help make them a sign for their building! Baseball and softball games in La Crosse have been cancelled tonight, May 9, 2018. 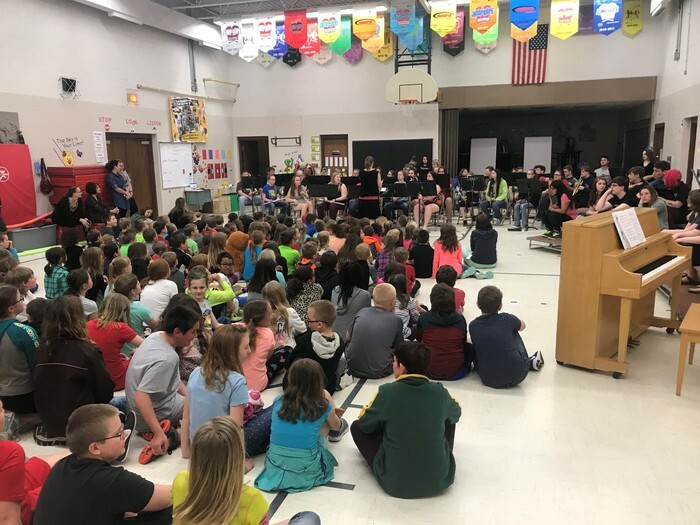 The High School band and choir students performed for the Elementary students yesterday and gave a fantastic performance! If you want to hear the band and choir, join us for the Pops Concert on Monday, May 14th at 7:00 p.m. in the HS Cafetorium! GHS Intro to Tech Ed students utilized the Laser Engraver to create custom tile coasters! Here are some of the tiles the students created. 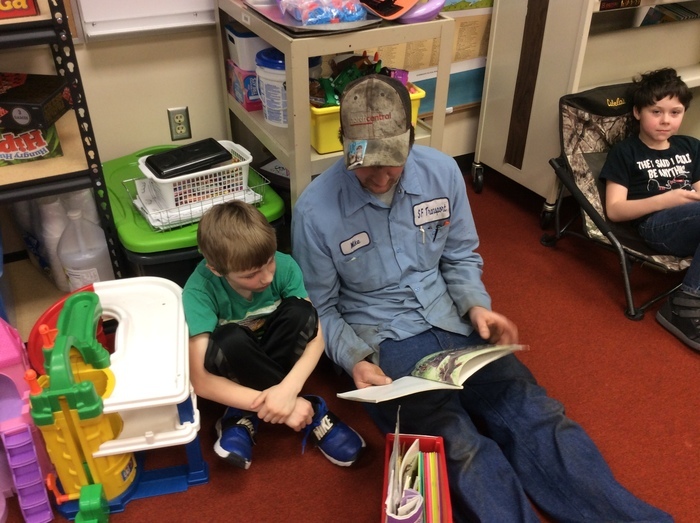 A big thank you to Forester Chris Schmitz for teaching the kindergarten class how to plants trees and giving them trees to plant at home. There will be a softball game in Greenwood at the city softball field against Spencer at 5:00pm today. 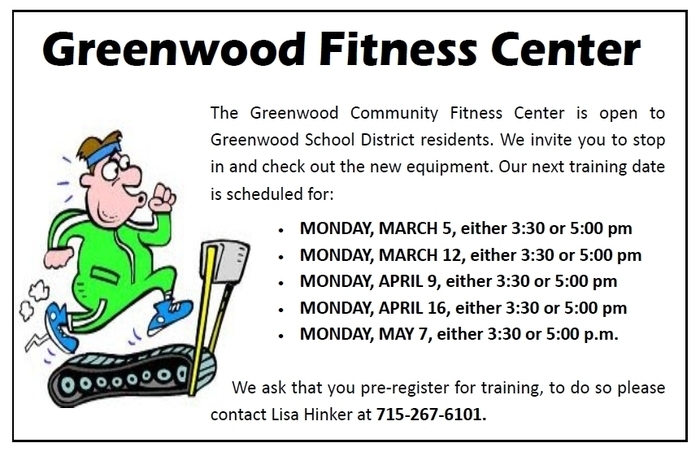 Go Greenwood! Monday, April 23, HS and MS baseball games have been cancelled. 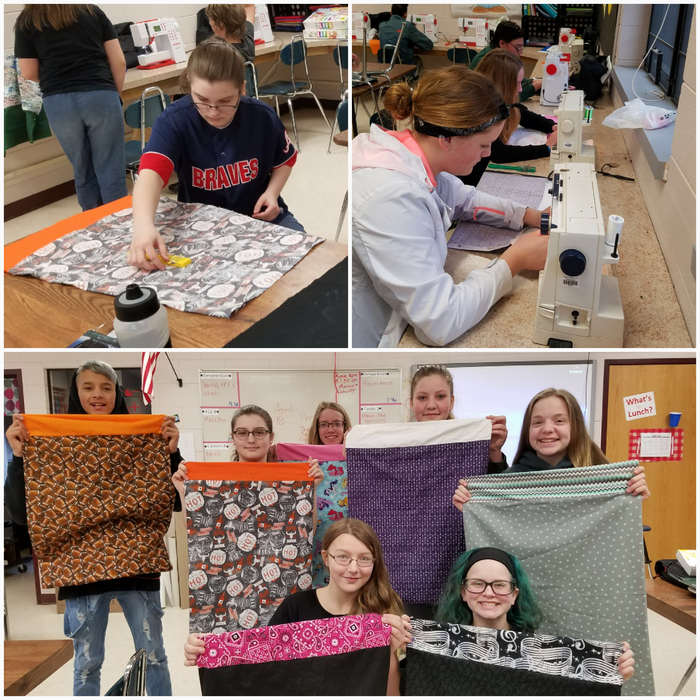 8th graders working hard to finish their pillowcases! They learned measuring, cutting, pinning and sewing! There will be a track meet in Spencer on Friday, 4/20, at 4:30pm. 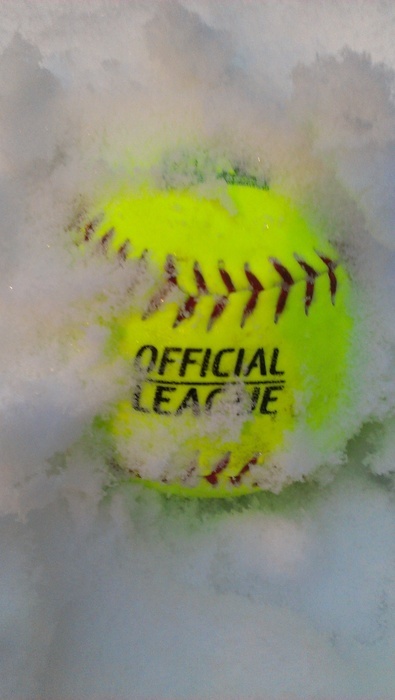 The Saturday, April 21, Softball tournament at Stanley is cancelled. ALL athletic games/events are cancelled this week, April 16-20, 2018. 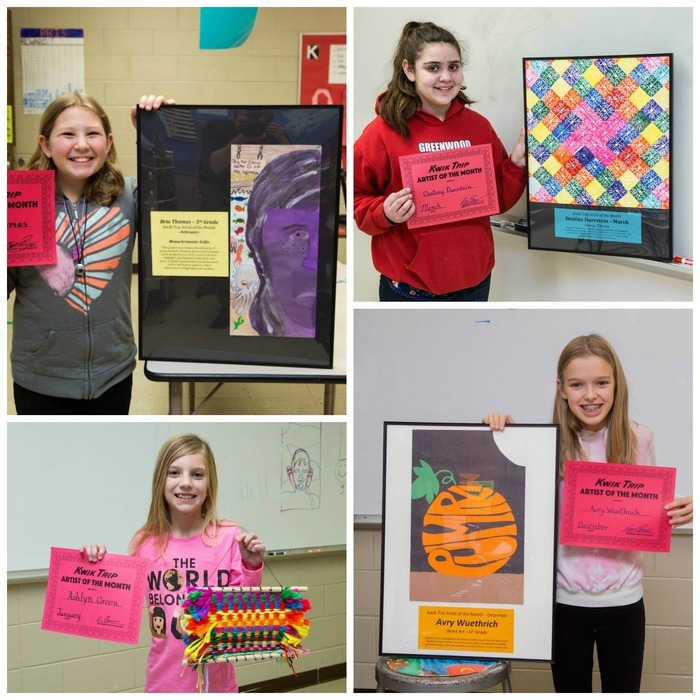 The Fine Arts Night celebration has been moved to Sunday, April 22nd at 4:00 p.m. (this is a time change as well) due to the impending weather. JV baseball is cancelled for Saturday 4/14. Varsity baseball triangular in Mauston, Saturday 4/14. First game v. Mauston at 11:00am. Second game v. Hayward 1:00pm. EPEC will be meeting on Wednesday, April 11th at 6pm in the elementary library. We will be discussing community calendar, playground installation update and future meetings. All are welcome to attend. 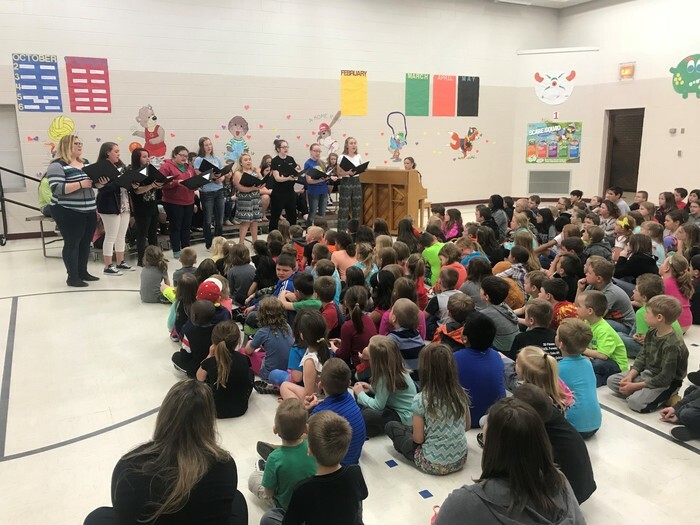 Elementary Parents Educators Community (EPEC) is the Greenwood Elementary parents group that invites parents to take an active roll in making our school the best place it can be for our children, our teachers and our community. The track meet Friday, April 13, 2018, has been cancelled. ALL spring sporting events have been cancelled next week Monday-Thursday, April 9-12, 2018. All baseball and softball games are canceled for the rest of the week. We can't wait for Spring! The baseball and softball games for tomorrow, Tuesday, April 3, have been cancelled. Both the softball and baseball games have been cancelled for tonight, March 29, 2018. 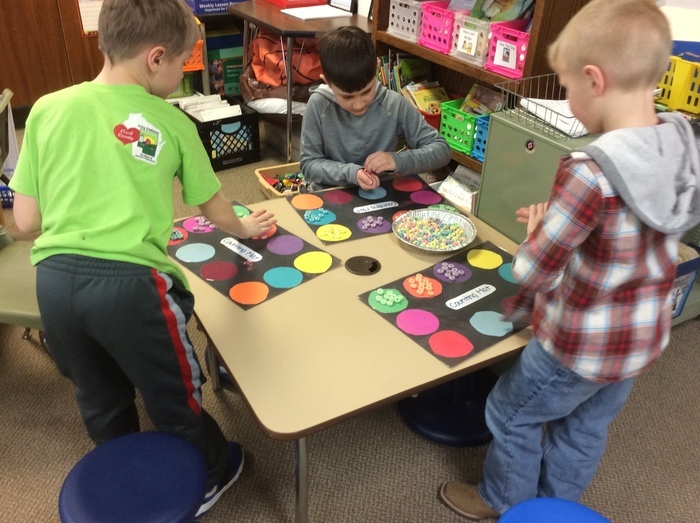 The High School Foods class colored Easter eggs with the Four-year-old Kindergarten class! 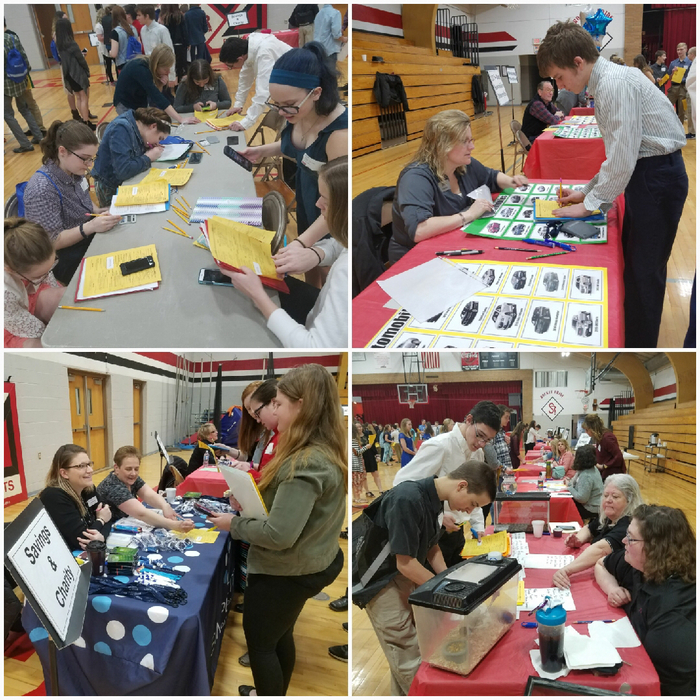 8th grade students went to the Reality Store and learned a lot of life lessons. They chose a career, home & vehicle and then had to pay their bills for a month to see if they could make ends meet. 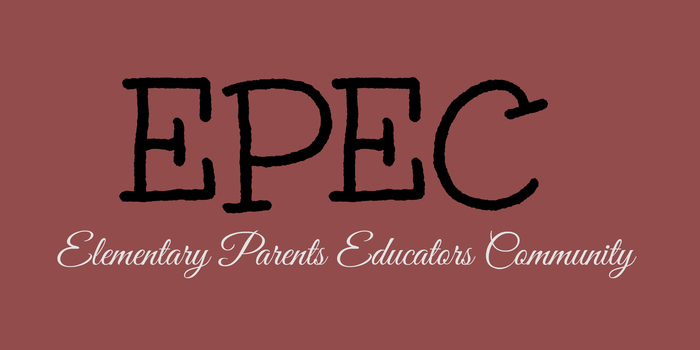 EPEC will be meeting on Wednesday, March 14th at 6pm in the elementary library. We will discuss fundraisers, playground updates and testing updates. All are welcome to attend! Date change: The regular school board meeting of the School District of Greenwood will be held on Tuesday, March 20, 2018 at 6:30 P.M. in the Board Room located in the Middle-High School Building. 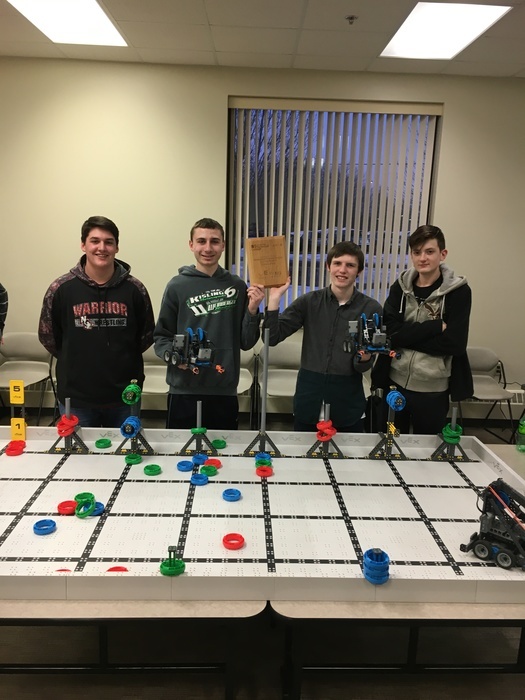 GHS Vex Robotics team had a blast at the CVTC Manufacturing Show, competing in the VEX competition and checking out the industry. 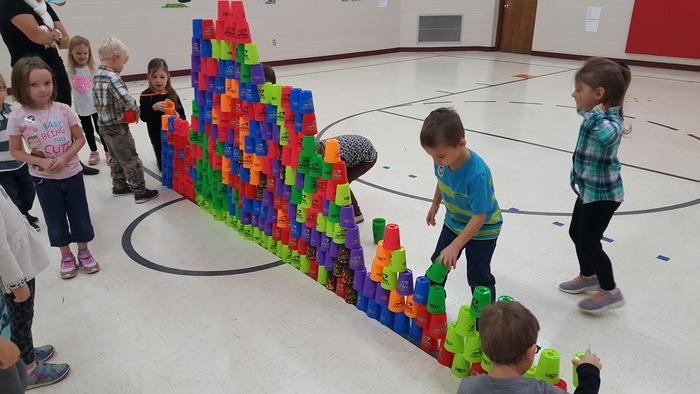 A lot of fun was had on Friday celebrating Dr. Seuss's birthday! 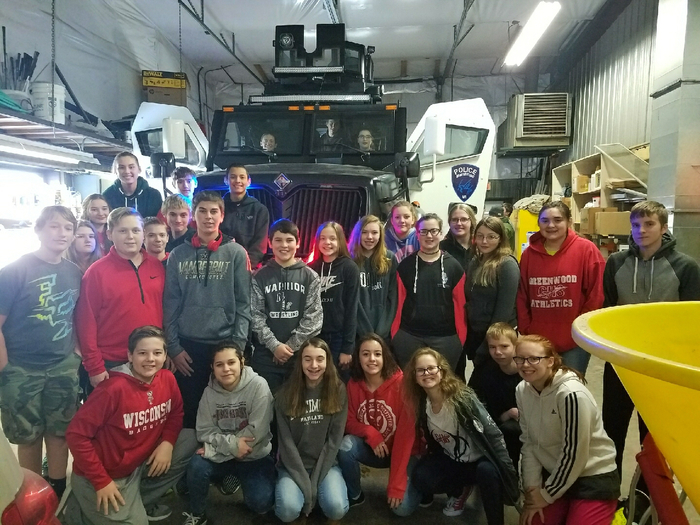 Thank you to Officer Kohnert and everyone who participated. 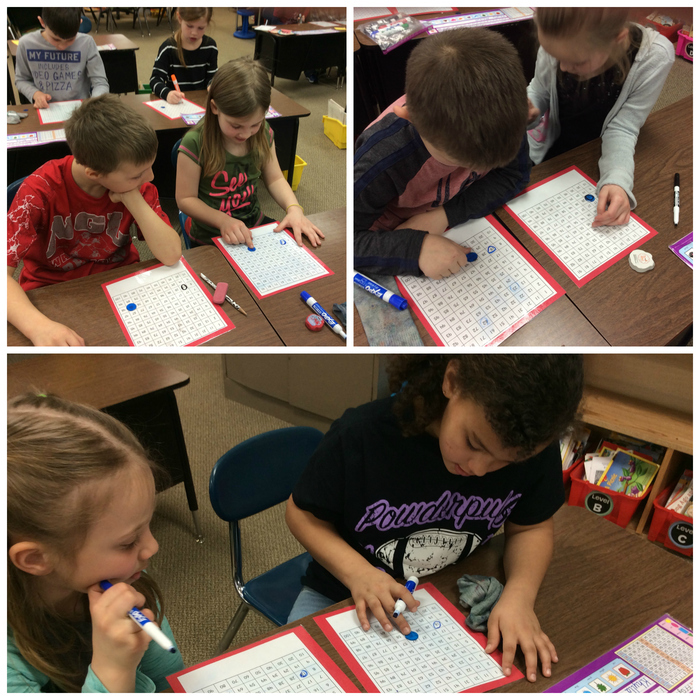 First graders work in partners to find ten-based addition and subtraction partners on a hundreds grid. Students are learning to look for patterns and relationships on the grid to help solve larger addition and subtraction problems like 43 + 30 and 79 - 20. 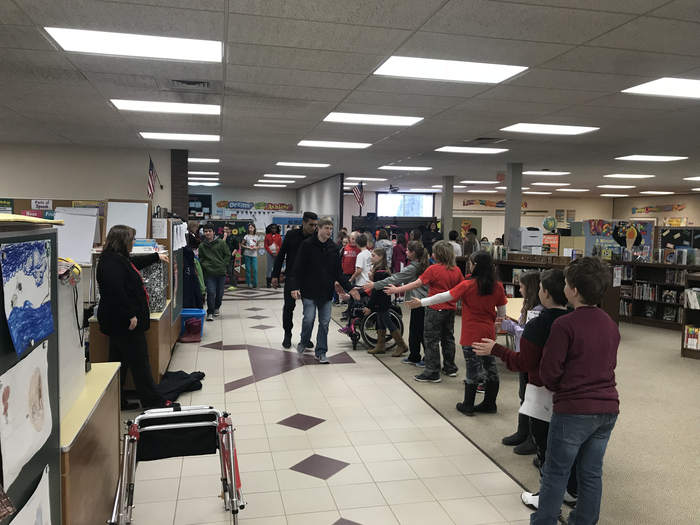 State Wrestling Qualifiers Dylan Nielsen and Stephen Buchanan (both of the NGL team) go around the Elementary School this morning getting high fives from our students to wish them good luck! Happy FFA week! 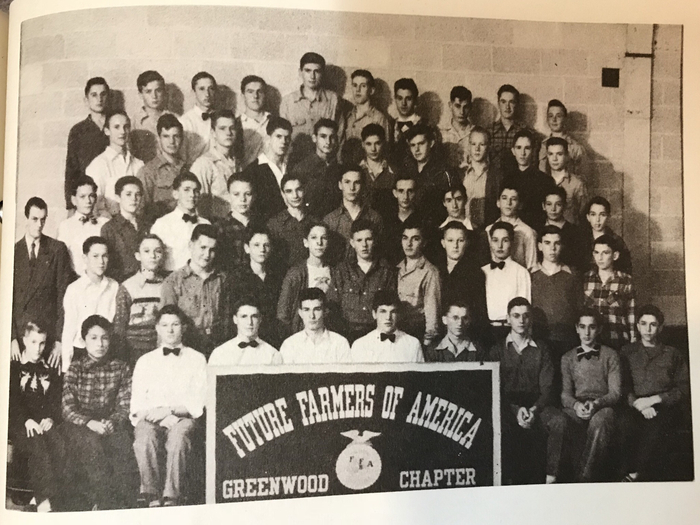 Greenwood has a strong tradition of involvement in Future Farmers of America. This photo is the 1948 FFA Chapter - 70 years ago! The School District of Greenwood will be closed Tuesday, February 20, 2018 due to weather and road conditions. Stay safe! All games, events, and practices are cancelled for today, Monday, February 19, 2018. 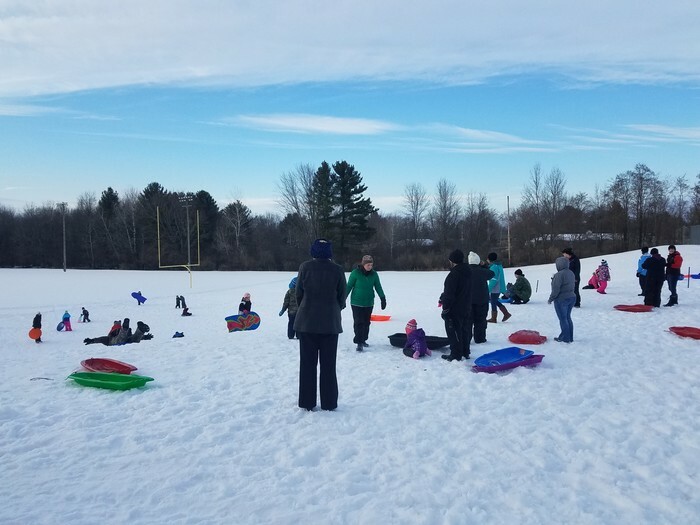 The 4K and 5K families had a blast sledding on Thursday night! 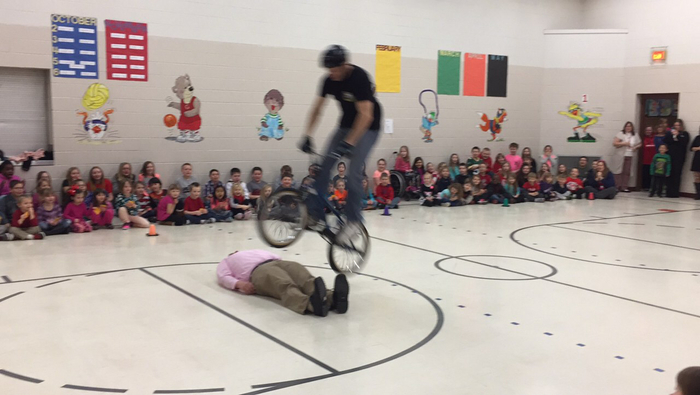 BMX Stunt Rider, Rich Wieber, visited the Elementary to share some of his tricks while talking about bike safety, goals and working hard. 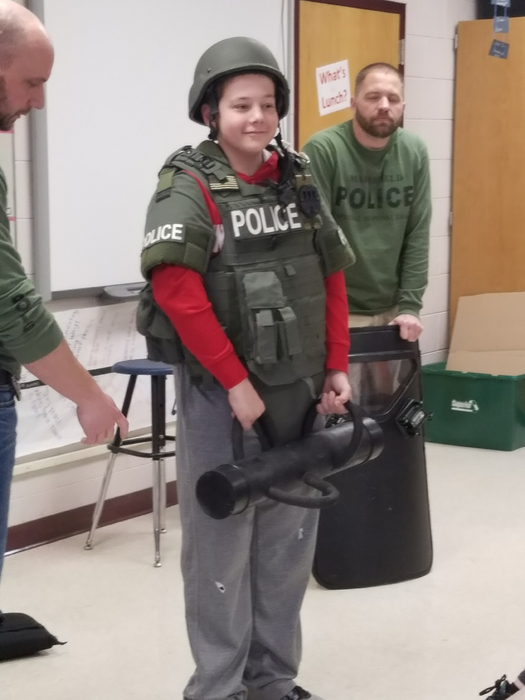 Members of the Marshfield Ordinance and Swat team came to Mrs. Jaenke's Careers class and shared their career with us. They brought the armoured vehicle and other equipment used in their job. 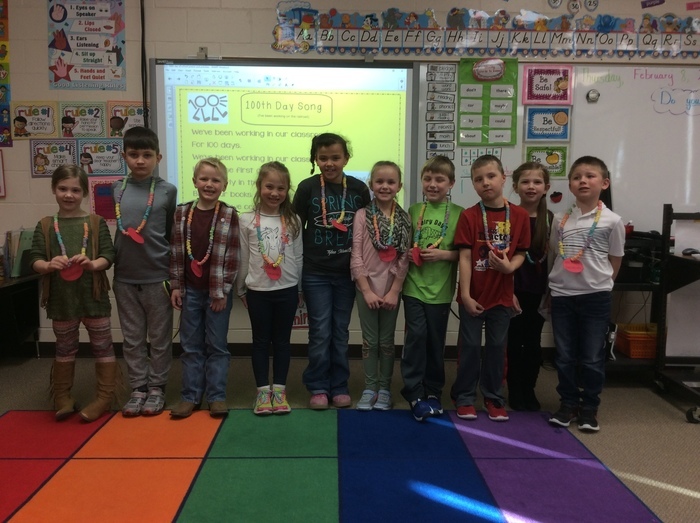 Mrs. Johnson’s class celebrated the 100th day by counting to 100 using our decade numbers. It is so fun to do it with cereal patterns! 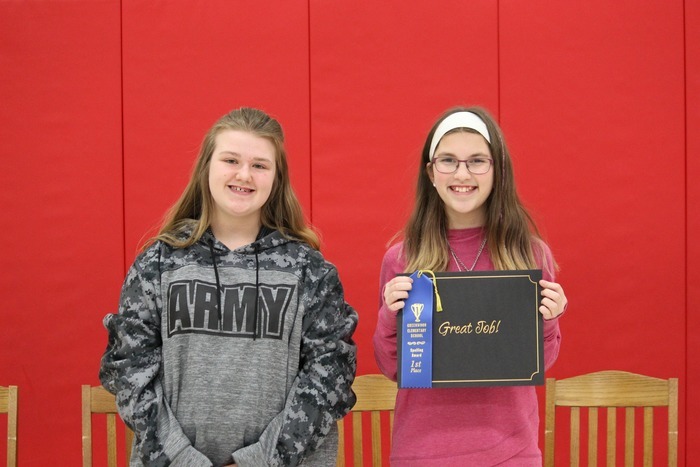 The 2018 Annual Spelling Bee! Small Engines students learn to read precision measurement tools with 3-D printed blocks. This prepares them to read a micrometer and a dial caliper. Students will then do their own rebuilds! 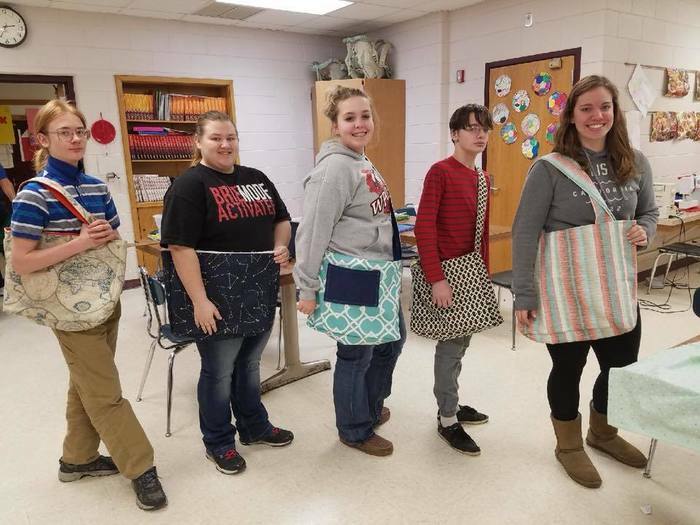 Textiles and Design students recently finished tote bags! 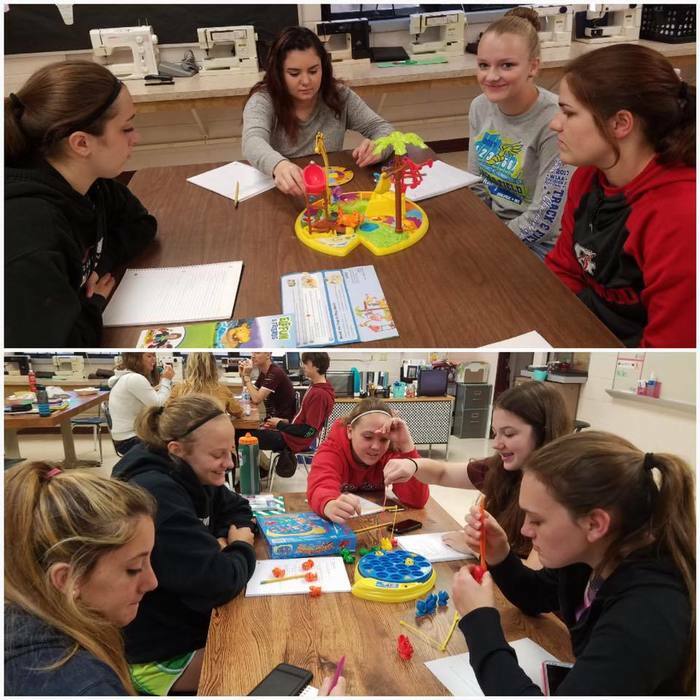 Mrs. Jaenke's High School Child Development students are taking some time to play children's games and discussing how it contributes to development! If only we could all have Bentley's job... 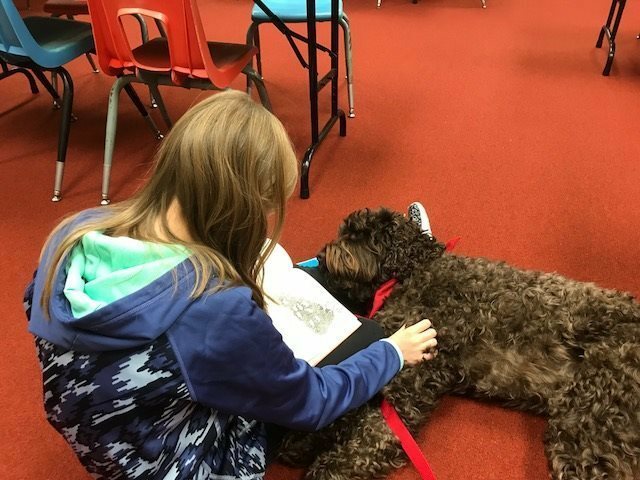 Thanks Bentley for being so great with our readers! 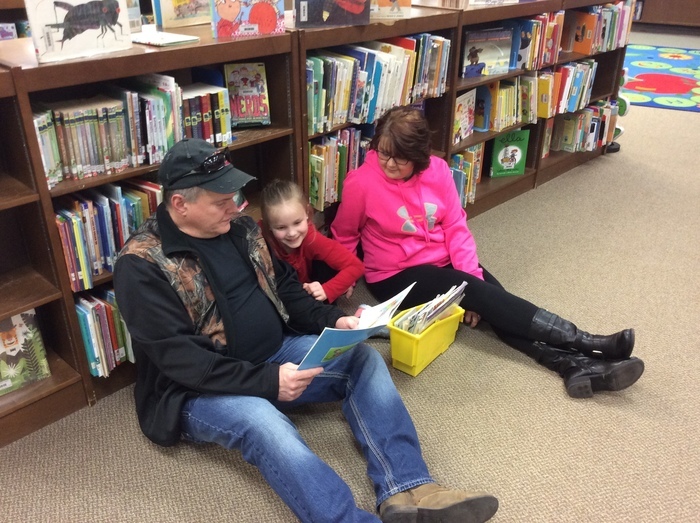 Mr. Green challenged all elementary students to read! Names were drawn from students meeting the goal for various prizes including gift cards for groceries, games, and Greenwood apparel! 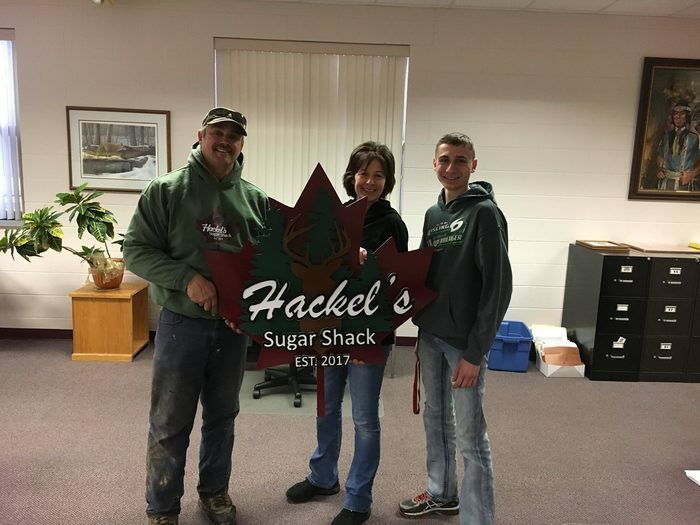 Advanced Manufacturing students completed this sign for community members Mike & Louise Hackel. This was cut on the school’s CNC plasma table. Thank you to Untamed Powder Coating for the paint job! 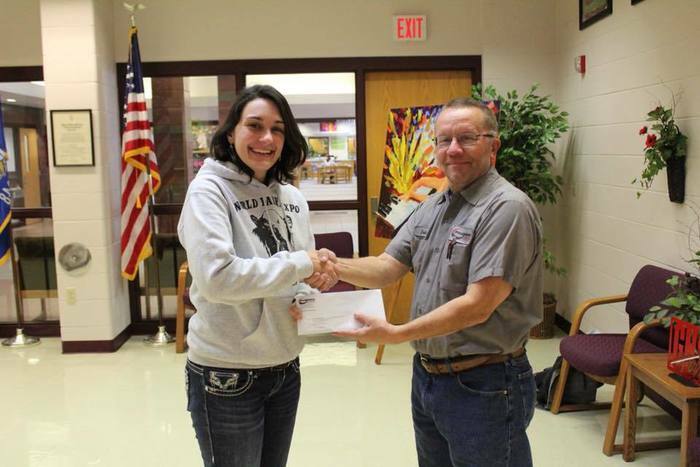 ProVision Partners recently donated $500 to Greenwood FFA. Land O’ Lakes Foundation matched that donation with an additional $500. Thank you both! 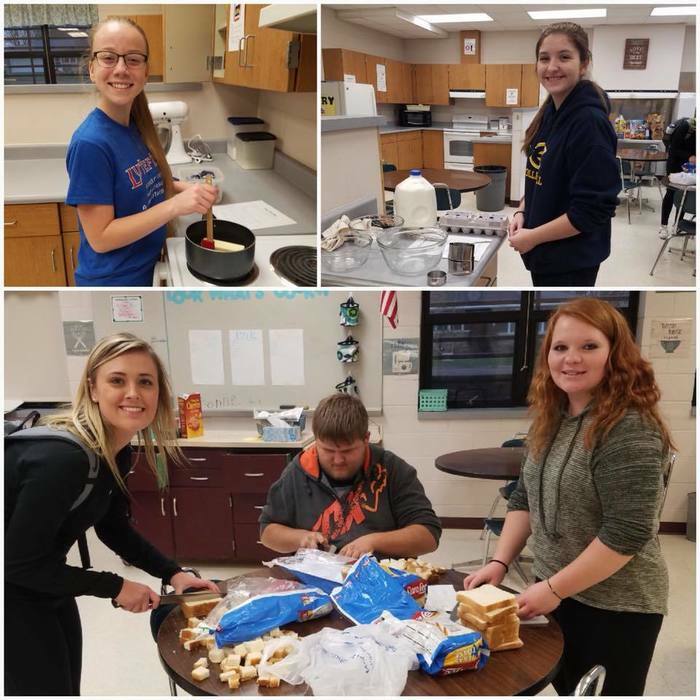 FCCLA members making French Toast Bake for the House of Mercy residents. Art 3 Student Kelly N. stands next to her first project of the year. Kelly spent 1st quarter working on her conceptual painting. Kelly’s use of a pallet knife and bold color give her painting expression and life. 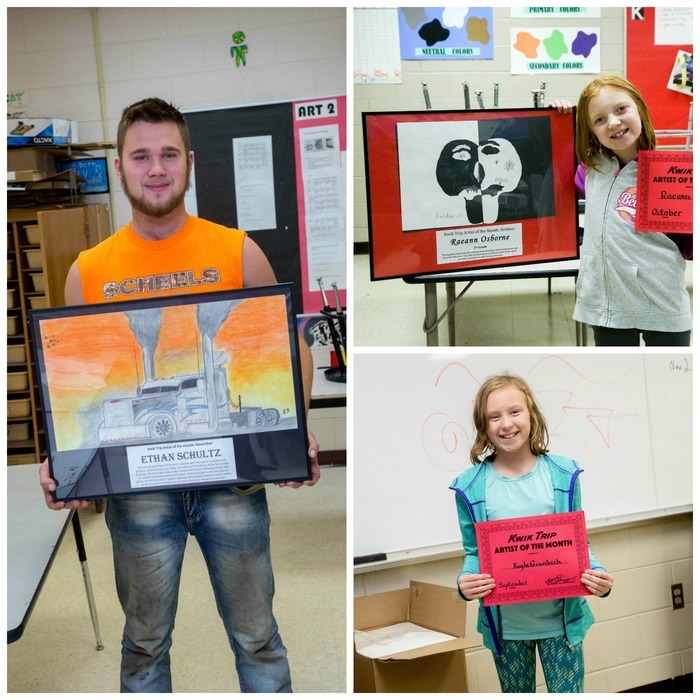 We can’t wait to see what this talented artist creates next! 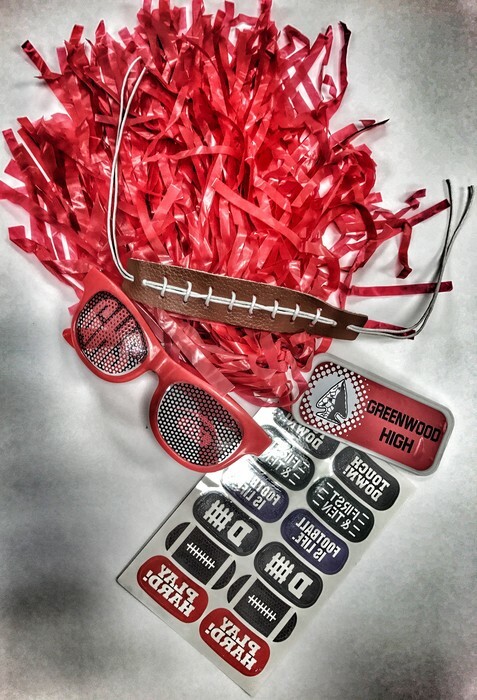 GHS celebrated Red Ribbon Week last week with a variety of activities! Fifth grade enjoyed a field trip this week to The High Ground Veterans’ Memorial in Neillsville. 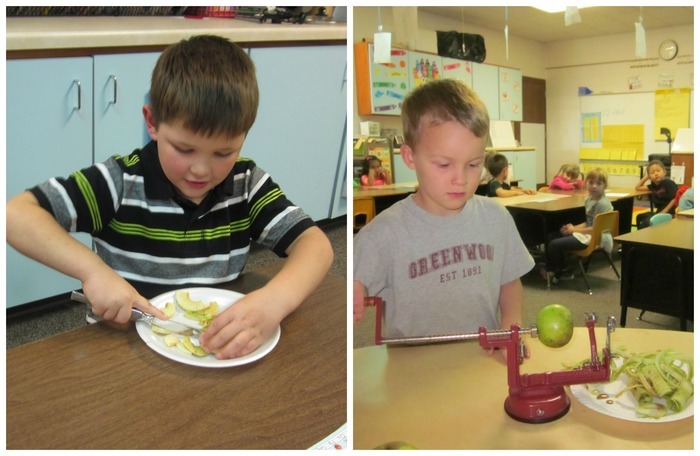 Miss Nehring's Kindergarten is busy learning about apples! 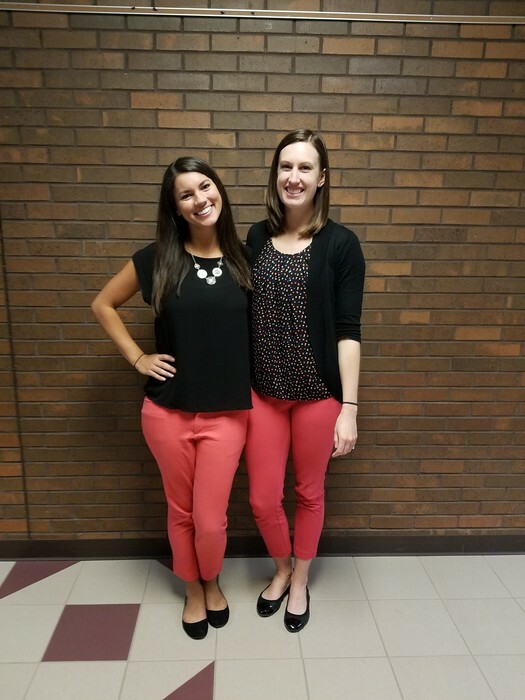 Miss Mahr and Miss Reil are twinning in 3rd grade today! The Greenwood Football team's first home game is Friday August 18th at 7:00 pm. 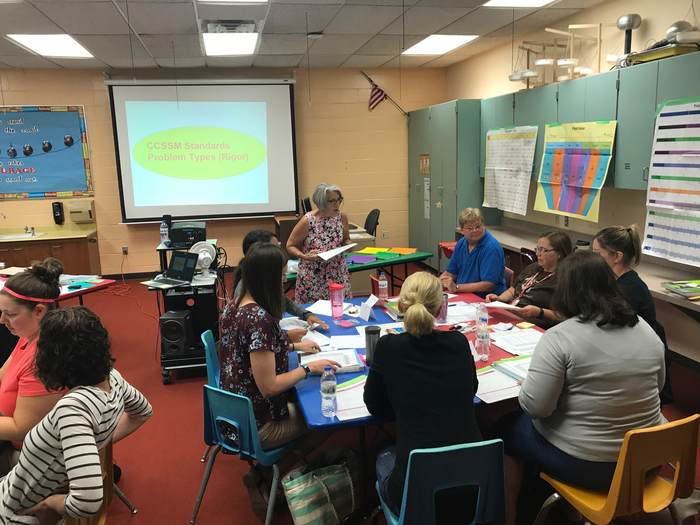 Elementary teachers received math training in preparation for the upcoming school year! The 2017 Greenwood Football apparel store is now live! 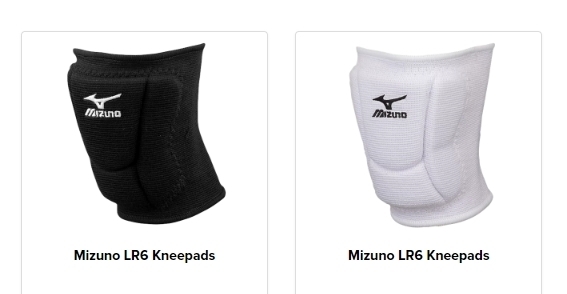 Please click on the link below to access the store. Sale ends July 27, 2017.